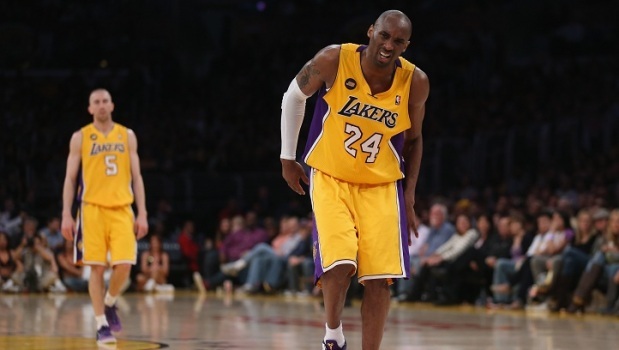 A few weeks ago, I blogged about Los Angeles Lakers star Kobe Bryant, questioning whether or not he could come back from an Achilles tendon injury just seven months after surgery. Now it seems like we’re starting to get our answer—yesterday, Bryant was able to practice with his teammates for the first time since he got hurt on April 12. Whether or not he’ll actually see game time in the next few weeks hasn’t been decided yet, but according to his teammates, Bryant is almost back to his old self, just moving a little slower than before, according to reports. Lakers forward Pau Gasol, who, as we know, is also dealing with foot pain, told ESPN.com: ""He looked good—really good. It was his first time back out there, but he looked really good, which I'm very happy to see." Although, as a Houston podiatrist, I can’t cheer for the Lakers, I have to admit that I’m happy for Bryant. The Achilles tendon is one of the longest in the body, stretching from the bones of the heel all the way to the muscles of the calf; it serves to let you point your toes and extend your feet. For athletes and non-athletes alike, the Achilles can cause a lot of problems, becoming inflamed (Achilles tendinitis) or even ruptured (which is what happened to Bryant). Many things can cause an Achilles injury, including overuse, inadequate warm-ups before exercise, athletic games where sudden stops and starts are common and even wearing high heels too often. Whatever the cause, depending on the severity of the injury, an Achilles problem can cause swelling, tenderness, an inability to flex your foot and severe pain. When I see patients with Achilles injuries, treatment options can range from rest and elevation to surgery, like Bryant. Whatever your level of Achilles pain, come see Dr. Andrew Schneider at Tanglewood Foot Specialists so I can evaluate your injury and prescribe your best individual recovery plan.